A new report from the world's largest gold producer Barrick Gold provides yet another illustration of the problems facing gold mining companies. In South Africa, extraction of gold from depths of more than 6,000 meters has almost become the rule rather than the exception. 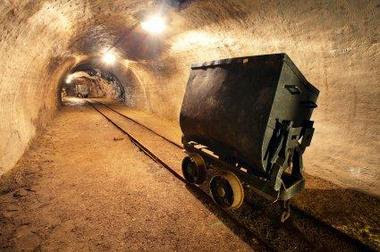 Mining costs are being pushed up by the logistical challenges of drilling at great depths, as well as an increasingly militant work force which is demanding higher wages. Add exploration costs to this mix and it’s little wonder that companies’ profits are being squeezed, despite the high gold price. According to Barrick, total production costs for all mining companies exceeded the $8 billion mark last year. While 1991 saw the discovery of 11 new gold mines, in 2011 only three mines with production potential were found. Aside from the drop in gold ore and rising production costs, a third factor is increasingly hindering gold production: producing countries' tedious licensing processes and sluggish bureaucracy. According to Barrick Gold, this is being exacerbated by increasing environmental regulations that could jeopardize many mining operations. Many companies are also facing increasing hostility from residents in mining areas. This has been particularly evident in Peru, Bolivia or Ecuador – where there have been violent clashes between local people and police. This is a tricky set of factors for many companies. But given the gains in gold many expect in the coming years, great fortunes could still be made in the right gold mining investments.